World leader in sandcarving solutions. 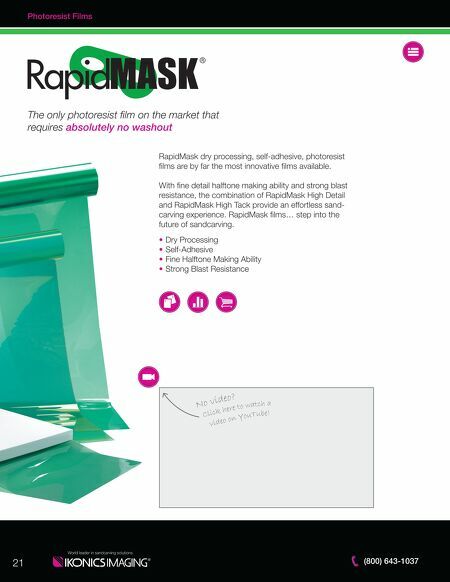 (800) 643-1037 21 RapidMask dry processing, self-adhesive, photoresist films are by far the most innovative films available. With fine detail halftone making ability and strong blast resistance, the combination of RapidMask High Detail and RapidMask High Tack provide an effortless sand- carving experience. RapidMask films… step into the future of sandcarving. 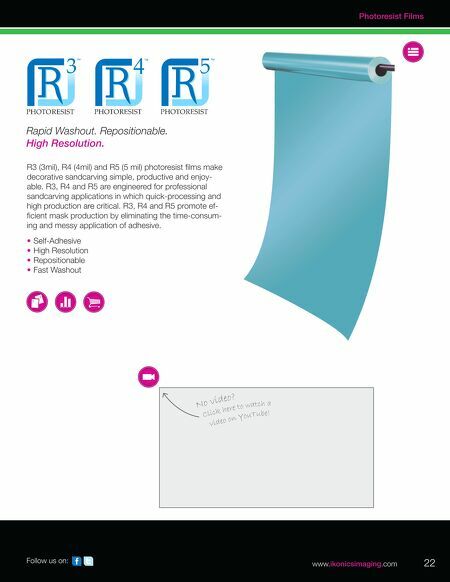 • Dry Processing • Self-Adhesive • Fine Halftone Making Ability • Strong Blast Resistance The only photoresist film on the market that requires absolutely no washout Photoresist Films Click here to w at ch a No video? video on YouTu be!